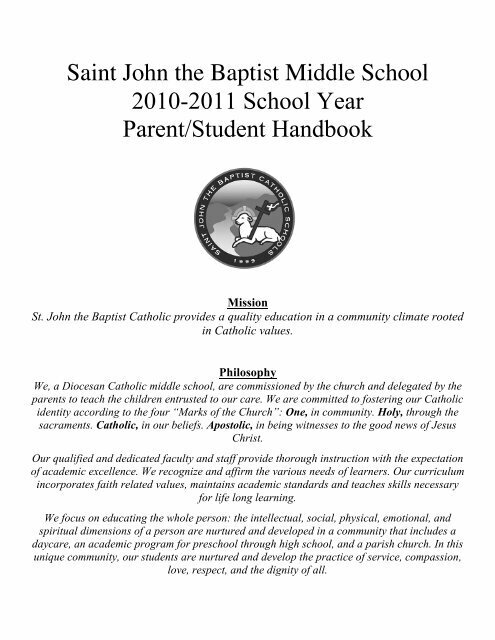 Saint John the Baptist Middle School2010-2011 School YearParent/Student HandbookMissionSt. John the Baptist Catholic provides a quality education in a community climate rootedin Catholic values.PhilosophyWe, a Diocesan Catholic middle school, are commissioned by the church and delegated by theparents to teach the children entrusted to our care. We are committed to fostering our Catholicidentity according to the four “Marks of the Church”: One, in community. Holy, through thesacraments. Catholic, in our beliefs. Apostolic, in being witnesses to the good news of JesusChrist.Our qualified and dedicated faculty and staff provide thorough instruction with the expectationof academic excellence.  We recognize and affirm the various needs of learners. Our curriculumincorporates faith related values, maintains academic standards and teaches skills necessaryfor life long learning.We focus on educating the whole person: the intellectual, social, physical, emotional, andspiritual dimensions of a person are nurtured and developed in a community that includes adaycare, an academic program for preschool through high school, and a parish church. In thisunique community, our students are nurtured and develop the practice of service, compassion,love, respect, and the dignity of all.